The Ray-Ban Wayfarer Sunglasses are a timeless sunglass style. Their shape has barely changed in 60 years of production, but the latest model offers lightweight titanium temples and screwless hinges for added comfort. Right now, you can get a brand new pair for 45% off - $109 + free shipping. Ray-Ban has improved its iconic sunglasses with a few new upgrades. The frame is molded from durable nylon and the temples are titanium, which keeps them lightweight while maximizing comfort. They’re also built to last with screwless hinges and a weld-free design. 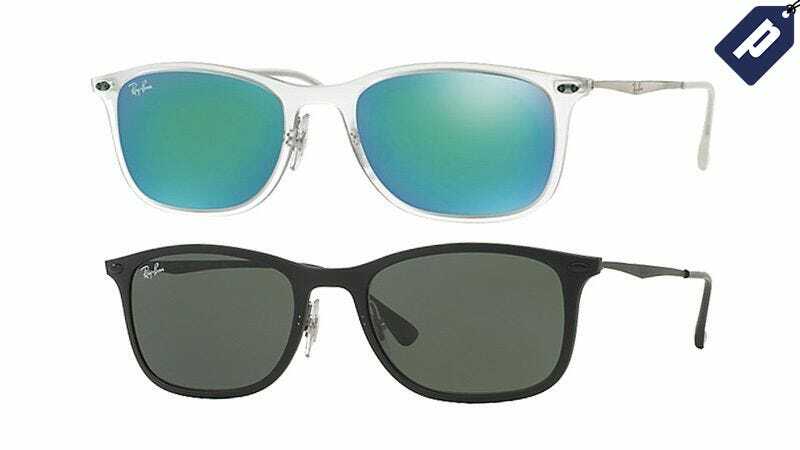 The Ray-Ban Wayfarers come in your choice of black or clear, and shipping is included. Grab yours today for 45% off - just $109.